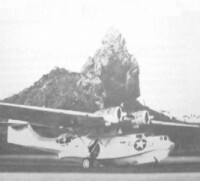 11 Feb–Mar 1945: VPB-125. The squadron was relieved by VPB-145 and received orders to deploy to Natal, Brazil, under the operational control of FAW-16. 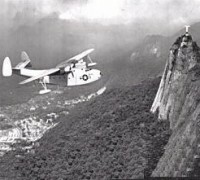 The squadron arrived at Natal on the 18th, and began barrier sweeps on the 28th. 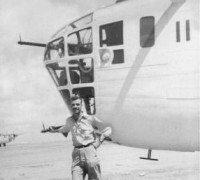 During March, the squadron maintained detachments at Fortaleza, Fernando de Noronha and Ascension Island. The detachments rejoined the squadron at Natal at the end of March. 27 Apr–May 1945: VPB-125 began its relocation to Elizabeth City, N.C., arriving on 30 April. 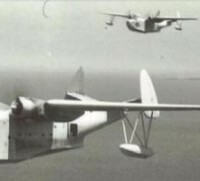 The Squadron came under the operational control of FAW- 9. During the month of May the squadron maintained a six-aircraft detachment at NAS Brunswick, Maine. 1 Jun 1945: The Brunswick detachment rejoined the squadron at NAS Elizabeth City in preparation for disestablishment. 8 Jun 1945: VPB-125 was disestablished.